German hard rock veterans SCORPIONS performed in Paris, France Tuesday night (November 24), marking the first time the band has played the city since an extremist group orchestrated a terror attack on Paris that left 130 dead. 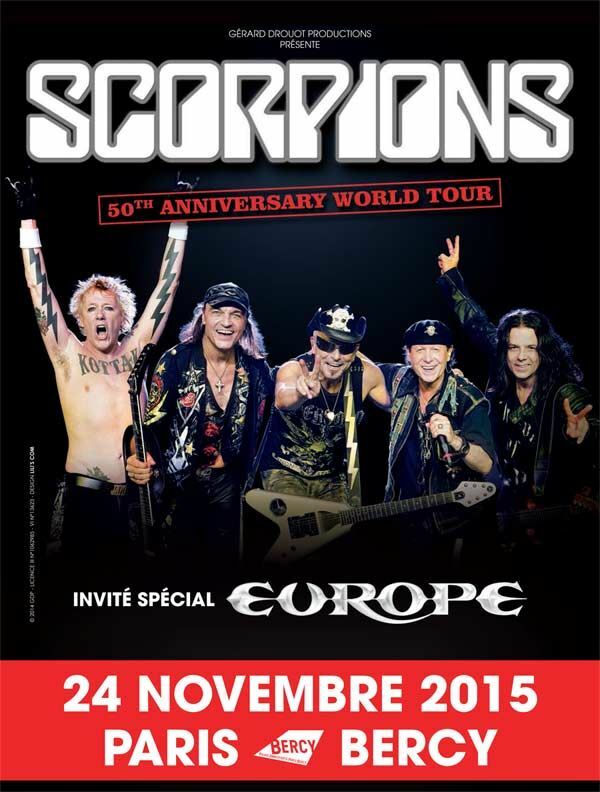 The sold-out concert at the Bercy arena included an emotional moment when SCORPIONS drummer James Kottak beat the rhythm of the French national anthem, "La Marseillaise", which the crowd sang a capella. 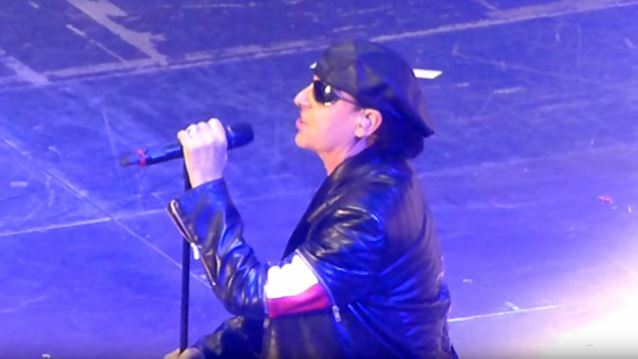 SCORPIONS singer Klaus Meine told DPA ahead of the concert: "Our France tour is overshadowed by these sad and terrible events. Of course we're also here to deal with the situation... this tragedy, respectfully." He added: "We all feel threatened, we all feel attacked. This has hurt all of us." However, he explained that people shouldn't live their lives on the knife's edge, somehow persuaded that a terrorist's bomb or bullet has their name on it. "It's a rock show," he said. "We simply want to have a wicked night with our fans and make a statement in favor of life." The new fully authorized SCORPIONS documentary "Forever And A Day" wrapped up its theatrical run and will come to DVD, Blu-ray, and digital platforms on November 27 (in German with English subtitles). The movie takes a look at the German hard-rock legends' long career, while focusing on the band's "Final Sting" trek, which initially was intended to be a farewell tour. SCORPIONS recently completed the 2015 U.S. leg of their 50th-anniversary tour, which also is in support of their latest studio album, "Return To Forever".